Hotel Panorama Resort and Spa in Bansko, ski resort in Bulgaria. Book online with big discount. Panorama Resort & Spa hotel will closed for the winter season! 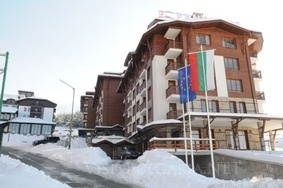 Location: Panorama Resort & SPA is a modern complex which is located in the St. Ivan Rilski said, 750 m. from the main lift. Services: At guests can use a free ski shuttle to the ski lift to 17:00.